I realized life is not random and that a higher power exists to provide you the tools to succeed in life. The trick is you need to be aware enough to understand these tools and how they can be helpful. 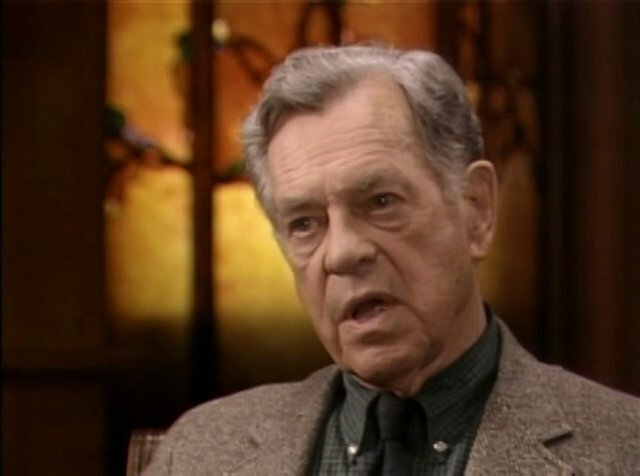 In my 10th grade philosophy class when we were learning the teachings of Joseph Campbell, I realized I had found the first tool to change my path for the better. Campbell was an anthropologist and comparative mythologist. He had studied the ancient civilizations and discovered a common thread that he observed in each culture’s stories. Myths or narratives have been shared in every culture as a means of entertainment, education and cultural preservation. Historically there were specific people that filled the role of storyteller. In many ancient cultures there was not even a written language so the story-teller fulfilled a crucial role by informing the public of news, major events, and by providing information. Our media evolved from this tradition, as myths and stories were passed from one generation to the next. In the past this was all there was and because the storytellers worked in an engaging and interesting manner, people paid attention and learned. Over the years there has been a dramatic shift in how stories are passed from person to person. Now due to social media we have all become storytellers. When I was 15 and experiencing this life transition, through the teachings of Joseph Campbell, I was shown that these stories are not personal and individual but global and touch us all. His teachings are a way to understand the human condition. Campbell articulated the “Hero’s Journey”, a template for every hero story that was ever written or told, in his book “Hero with a Thousand Faces”. This was culled from Campbell’s studies of ancient civilizations. Archetypes like the hero, the wise old man, and the trickster, could be found all over the world in sacred myths and rituals of very different societies. As a young filmmaker, George Lucas read Campbell’s template and wrote a futuristic story about another universe that follows Campbell’s archetypes. This movie was “Star Wars”. Let’s take a look at this portrayal of the hero archetype. The Mundane World – In Star Wars, Luke Skywalker lived on the desert planet Tatooine longing for adventure. Many of us feel we live in a mundane situation. Instead of changing that fact by our own actions or decisions, we long for some external event or influence that will someday change our environment and make life more exciting. The Call to Adventure – At some point we receive a “call” that beckons is to leave our mundane situation of normality and invites us to journey outside what is known. It calls the hero to leave his comfort zone. Luke Skywalker intercepted a recorded hologram from Princess Leia. Refusal of the Call – Nonetheless, it is our psychological makeup to initially refuse the call to adventure, usually from fear of change, a sense of duty or obligation, fear, insecurity, a sense of inadequacy, or any of a range of reasons that work to hold the person in his or her current circumstances. There are consequences for the refusal. Luke lost his Tatoonie family, which changed his path. Supernatural Aid – As the hero travels on his journey, he may meet a wise person, a god or messenger who gives the hero a weapon or other magical item that will aid them later in their quest. If you don’t connect with Yoda, think of all the role playing games that start with a wise person giving the hero advice, weapons and/or powers. The Road of Trials – This is a series of tests, tasks, or ordeals that the hero must undergo to transform. Often the person fails one or more of these tests. For Luke, he was taught how to wield a light saber and harness his powers by Obi Wan, Yoda and finally his nemesis, Darth Vader. The Ultimate Boon – Finally, the achievement of the goal of the quest. All the previous steps serve to prepare and purify the person for this, since in many myths the boon is something transcendent like the elixir of life itself, or a plant that supplies immortality, or the Holy Grail. In Star Wars, it was the destruction of the death star. These patterns are not just found in movies but in all hero stories since the existence of time. 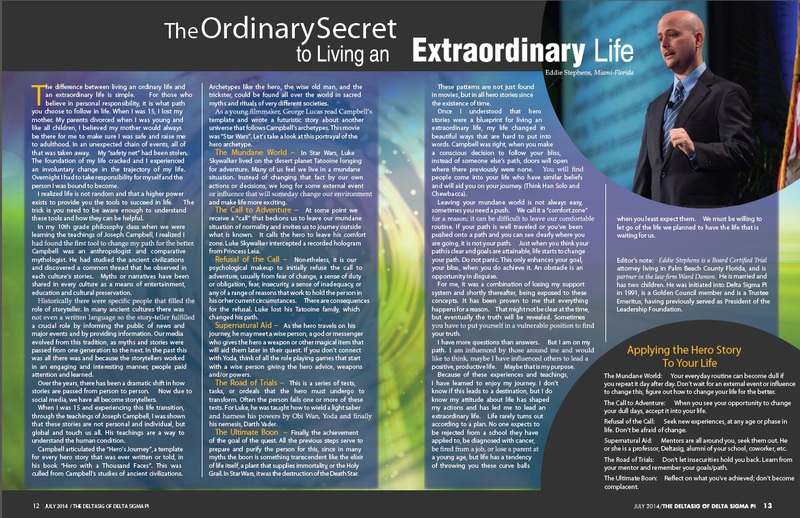 Once I understood that hero stories were a blueprint for living an extraordinary life, my life changed in beautiful ways that are hard to put into words. Campbell was right, when you make a conscious decision to follow your bliss, instead of someone else’s path, doors will open where there previously were none. You will find people come into your life who have similar beliefs and will aid you on your journey (think Han Solo and Chewbacca). Leaving your mundane world is not always easy, sometimes you need a push. We call it a “comfort zone” for a reason, it can be difficult to leave our comfortable routine. If your path is well traveled or you’ve been pushed onto a path and you can see clearly where you are going, it is not your path. Just when you think your path is clear and goals are attainable, life starts to change your path. Do not panic. This only enhances your goal, your bliss, when you do achieve it. An obstacle is an opportunity in disguise. For me, it was a combination of losing my support system and shortly thereafter, being exposed to these concepts. It has been proven to me that everything happens for a reason. That might not be clear at the time, but eventually the truth will be revealed. Sometimes you have to put yourself in a vulnerable position to find your truth. I have more questions than answers. But I am on my path. I am influenced by those around me and would like to think, maybe I have influenced others to lead a positive, productive life. Maybe that is my purpose. Because of these experiences and teachings, I have learned to enjoy my journey. I don’t know if this leads to a destination, but I do know my attitude about life has shaped my actions and has led me to lead an extraordinary life. Life rarely turns out according to a plan. No one expects to be rejected from a school they have applied to, be diagnosed with cancer, be fired from a job, or lose a parent at a young age, but life has a tendency of throwing you these curve balls when you least expect them. We must be willing to let go of the life we planned so as to have the life that is waiting for us. Eddie Stephens is a Board Certified Trial attorney living in Palm Beach County, and is partner in the law firm Ward, Damon, Posner, Pheterson & Bleau. He is married and has two children. He was initiated into Delta Sigma Pi in 1991 and has previously served as President of the Leadership Foundation. He is also involved in a number of charitable endeavors and most recently embarked on a campaign to raise money for the Big Dog Ranch Rescue, Palm Beach County’s largest no-kill dog rescue and has been an adult leader in the Boy Scouts of America for 8 years.